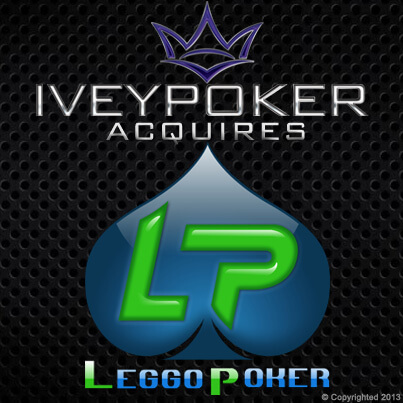 It was announced this week that IveyPoker purchased the poker training site LeggoPoker. The details of the purchase weren’t disclosed. 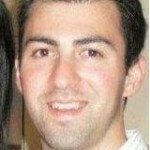 IveyPoker now has a platform to launch their subscription based training platform, which is slated for this summer. LeggoPoker will remain operational until Ivey League launches this summer. Once Ivey League is launched LeggoPoker will be closed and existing members of LeggoPoker will be moved over to the new Ivey League training website. It’s expected that most of the current coaches at LeggoPoker will be let go. Three of the coaches from LeggoPoker will join the IveyPoker team. The coaches joining IveyPoker include Andrew Lichtenberger, Dan Smith and Aaron Jones. If you’ve been following IveyPoker since launching in October 2012 you’ll know that they’ve been signing poker professionals to the new IveyPoker team at a rapid pace. IveyPoker has already signed over 25+ professionals to work with the new network. Some of the big names that have joined IveyPoker include Patrick Antonius, Jennifer Harman, Greg Merson, Daniel Shak and a number of other poker players. There should be no shortage of training content once Ivey League launches. A brand new IveyPoker app is expected to be launched very soon according to IveyPoker. The app is a free-to-play poker room, but unlike other free-to-play poker sites IveyPoker will be education based and players will learn from the IveyPoker team. The app will also feature poker training videos that members will be able to watch. The IveyPoker app will be compatible on the iOS, Android, Facebook and Google Play. With Phil Ivey’s name attached to the network it should quickly become popular. Phil Ivey personally designed the app, so it should be interesting to check it out once it’s launched. The goal of the app is to help educate poker players while remaining entertaining and social. We’ll let you know once the IveyPoker app is launched. According to Ivey, the new app will be a bridge between the poker playing world at large and Ivey League. By the sounds of it the app will have basic poker advice and will be used to up-sell poker players into purchasing an Ivey League membership. With the app almost ready to be launched the purchase of LeggoPoker makes a lot of sense. In a recent interview Ivey stated that he thinks LeggoPoker is one of the best training sites in the poker industry and a great fit for IveyPoker. Ivey needed a platform and foundation to build off of and LeggoPoker was the best fit. With the poker training industry having a lot of struggles since Black Friday I’m sure LeggoPoker was thrilled to sell out while they still could make some money. Other poker pros have entered the poker training space in the past without a ton of success, but Phil Ivey is arguably the biggest name in poker and his name alone will draw in many casual poker players looking to sit down and learn from the best.